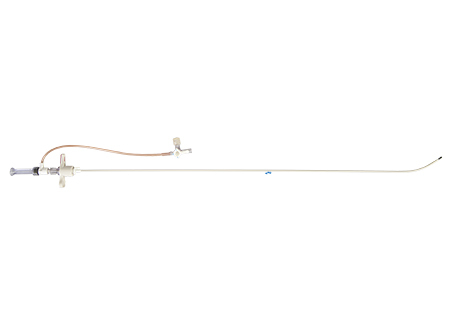 The TLAB® Transjugular Liver Biopsy Instrument is designed to perform consistently in typical and tortuous anatomy, collect quality liver samples, and enhance patient and physician safety. 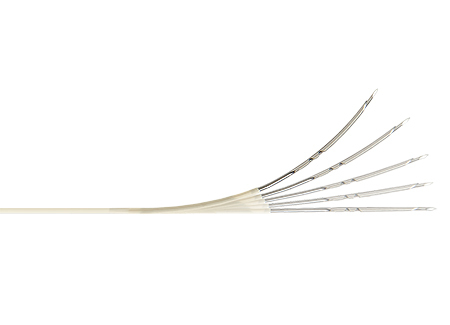 With patented Flexcore® technology helping the needle to conform to the curvature of the sheath, TLAB easily navigates and collects samples at typical or acute angles. 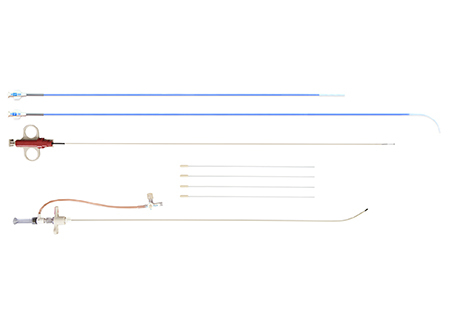 The Tru-Track™ trocar tip and a fully exposed sample notch combine for a straight needle trajectory and maximum sample yield that’s unmatched by the competition. 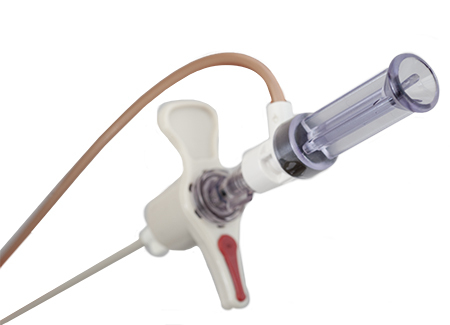 The TLAB includes a safety funnel for quick and easy loading and reloading of the needle into the sheath while reducing the risk of an inadvertent needle stick. Plus, the TLAB kit includes unique swab sticks to efficiently remove a sample from the notch while keeping a user’s hands away from the needle.